DESCRIPTION: The West Coast Australia Compliance website was designed and developed by PTC Computer solutions. 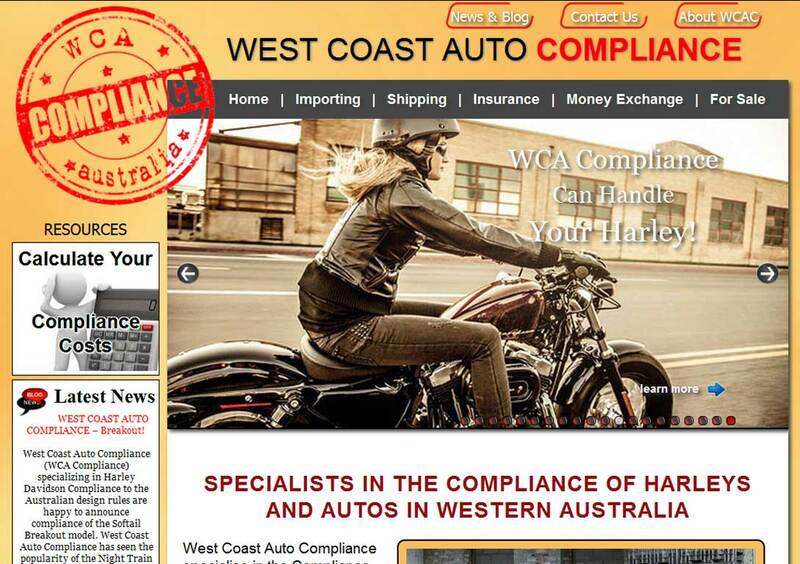 West Coast Auto Compliance specialise in the Compliance of Harley Davidson Motorcycles here in the West. When looking to comply your import to the Australian Design Rules (ADR’s) WEST COAST AUTO COMPLIANCE can help you. You can find out more by going directly to their personal website, wcacompliance.com.au, or contact them directly at sales@wcacompliance.com.au or 011-61-0411-713-757.